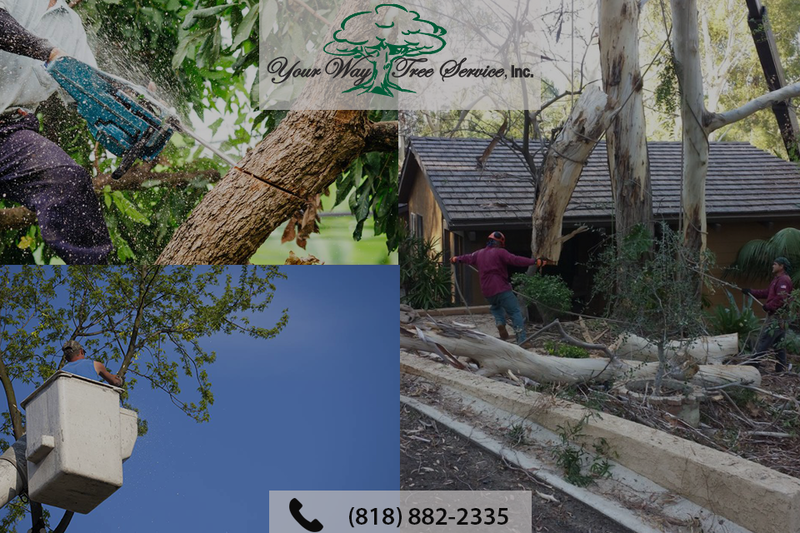 Top Tree Trimming in Hidden Hills | Your Way Tree Service Inc.
To use a light joke, our top tree trimming in Hidden Hills can make sure that those hills become a little less hidden. Many of our customers hire a tree trimming service because a tree is obstructing a view that they like. Several of our clients are atop a hill or other elevated area, and they want to see down into the valley below. Still, others have a tree on their property that, as much as they love it, actually has begun blocking the view from their favorite window or balcony. No matter your reason, we can provide you with top quality tree trimming. In this blog, we’ll go over how we can help and why you might think about choosing us for the job. This may sound a bit obvious or on the nose, but one of the main reasons to hire our tree trimming experts is that we’re well, actually experts. We didn’t just start this business yesterday; we’ve been trimming trees in the area for twenty years. All of that trimming has given us a wealth of experience that we can bring to your situation. While every tree and situation is different, our experience will allow us to figure out the best way to move forward and give you the view that you want. Don’t think that, just because we happen to trim branches off of a tree, we’re hurting the tree. That’s actually the opposite of what’s going on. When we trim a tree, we’re actually making the tree healthier. Many of the branches on a tree are dying or already dead. So, when we take those limbs off, we’re actually making the tree stronger. Think of it less like we’re cutting an arm off of the tree and more like we’re removing a lesion. We make sure that our customers understand exactly how much trimming and cutting we’re doing as well as why we’re doing it. We’ve found that the more informed our customers are, the better decisions they can make for themselves and their property. There’s so much more to our business than simply tree trimming. Sure, we make certain that your trees are trimmed exactly how you want them to be, but that’s just one of the services that we offer. For example, we offer complete tree stump removal services. While a tree may be a symbol of nature’s beauty and wonder, a stump is just often ugly. Worse, the longer you let them sit on your property the uglier they tend to get. They tend to smell bad and often they become a beacon for termites, ants, beetles and a host of other pests that you don’t want around your garden or home. Getting rid of a tree stump is a great way to make your garden safer. Most people with a stump don’t realize what a health hazard it actually can be. If you or your kids are running and playing in the yard, it’s easy for a stump to cause you to trip and fall. Even if you know where it is for years, it’s not always easy to keep track of it. You don’t want to realize too late that you should’ve removed a stump. Instead of letting it sit there and fester, taking care of it early can make sure that your family is safer. While we’re on the topic of “playing with your family in the yard,” this is another reason that we recommend getting consistent tree trimming. Kids love to climb trees. This is one of those eternal truths that will always be correct. As much fun as climbing trees can be (we’ve all done it) it can be dangerous, too. Some of those dead and dying branches aren’t nearly as strong as they used to be… but they sure look like they are. It’s far too easy to reach for a dead branch, thinking it can support your weight when it really can’t. Tree trimming doesn’t just make your home look better; it can make it safer, too. We call ourselves the “Your Way Tree Service” for a reason – we do things your way. 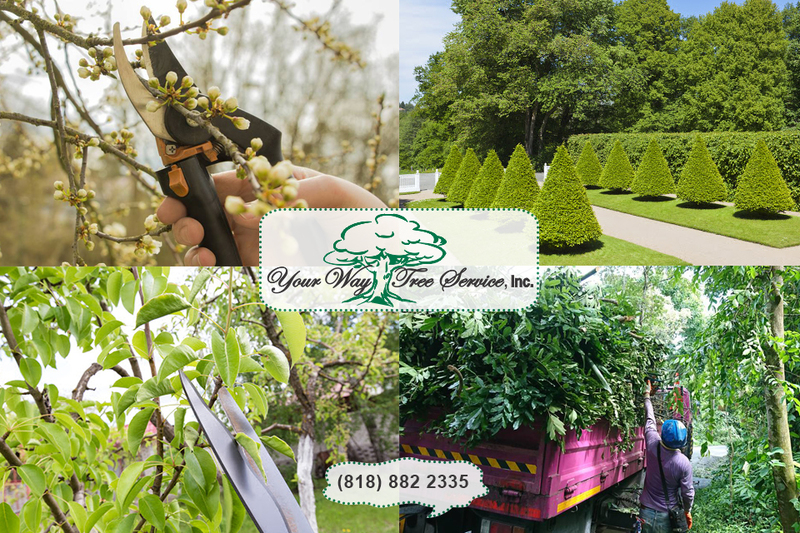 We’re always glad to talk to prospective clients so that we can help them figure out exactly what kind of tree trimming services they need. Stump grinding, tub grinding, tree trimming – we sit and listen to your concerns, and then come back to you with what services we think you need. Then, we’ll give you a free estimate. There are no hidden fees in this, no “surprise costs at the end,” nothing like that – what we tell you the price will be is what the price will be. To find out more, head to our site or give us a call at (818) 888-9248.